Five Valley representatives are among 28 state lawmakers who have called on the Texas Health and Human Services Commission to look elsewhere in their massive budget rather than reduce Medicaid funding for medically necessary therapy services for an estimated 60,000 pediatric and elderly Texans. According to information from the Health and Human Services Commission requested by Rep. Terry Canales, D-Edinburg, more than 26,000 residents in the Rio Grande Valley would be affected by the planned rate reductions, which could go into effect on September 1. 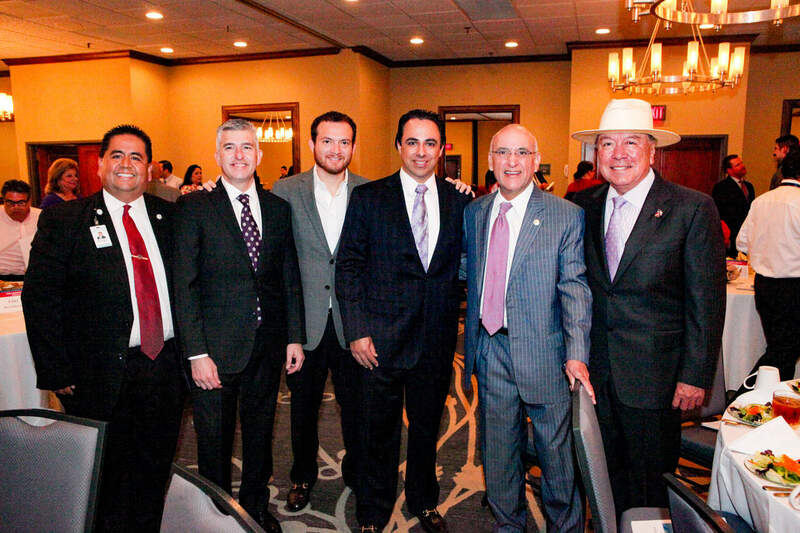 Canales, Rep. Ryan Guillén, D-Rio Grande City, Rep. Eddie Lucio, III, D-San Benito, Rep. Armando “Mando” Martínez, D-Weslaco, and Rep. Sergio Muñoz, Jr., D-Mission, were among the authors of a July 22, 2015 letter delivered to Chris Traylor, Executive Commissioner of that powerful agency, which administers Medicaid, among other major health and human service programs. The legislative intervention is part of a statewide effort to protect Medicaid funding for those vital services for deserving Texans. Those cuts could involve up to $350 million in federal and state moneys for the therapy programs controlled by the HHSC. That $350 million estimate reflects the total potential impact if both rate reductions and policy changes directed in Rider 50 of the state budget are implemented. For only the rate reductions ($100 million in state funds), the total impact would be approximately $233 million. Public comment is closed, but the Health and Human Services Council will consider testimony and make the final recommendation by the time the new state budget goes into effect in about a month. There are nine members, who are appointed by the Governor, who serve on the Health and Human Services Council, which assists the executive commissioner in developing rules and policies for the commission. One of the members of the Health and Human Services Council is Antonio Falcón,, M.D., of Rio Grande City. Canales and the 27 other lawmakers who signed the July 22 letter to Traylor contend that the two-year state budget approved by the majority of the Texas Legislature allows the Health and Human Services Commission to come up with revenue from other sources or develop alternative financing plans to keep the funding at the same level. As an example, the Health and Human Services Commission two-year budget for the 2016-2017 fiscal years, which begins on September 1, 2015 is $56.6 billion ($22.6 billion from state revenue, $34 billion from federal funds). The therapies under consideration are designed to mitigate any further physical or cognitive delays that might impact a child’s well-being, the lawmakers continued. Occupational therapy is a form of therapy for those recuperating from physical or mental illness that encourages rehabilitation through the performance of activities required in daily life. Speech therapy is training to help people with speech and language problems to speak more clearly. Earlier in the spring, state legislators, led by Rep. Sylvester Turner, D-Houston, and Rep. Bryan Hughes, R-Mineola, along with pediatric and elderly patients, parents, patient advocates and members of therapy provider associations, gathered at the State Capitol to begin raising awareness of those pending budget cuts, which had been included in the Senate version of the state budget, according to the Texas Association for Home Care & Hospice. The therapy services facing cuts help children with birth defects, genetic disorders, physical or cognitive disabilities and those born prematurely to function in daily life. For adults, the therapy may help in recovery from a broken hip or with progressive diseases such as Alzheimer’s or Parkinson’s. A doctor prescribes the therapy in response to a patient’s medical need. The budget cuts are embedded in a cost containment rider that cuts $200 million from Texas Medicaid expenditures on therapy services, a 31 percent reduction to the benefit. According to Hammond, the idea for this drastic cut originated with a study conducted by Texas A&M and the extrapolation and misinterpretation of the study’s data by HHSC staff in their report to the legislature. This deeply flawed report cannot be legitimately used as the basis for deciding where appropriate cuts can be made without impacting access to care, he said. The House budget had taken a more thoughtful approach and ensured that if any reductions are made, they will happen with meaningful stakeholder input and consideration of access to care, Hammon added. He said this approach will ensure that cost savings do not come at the expense of medically necessary therapy. These proposed cuts come on top of a series of cuts in the reimbursement rates paid to cover the costs of those providing therapy care to their patients. Since the 2010 fiscal year, providers of services have experienced reductions each legislative session and in some cases these cuts have exceeded a total of 10 percent. “We are doing everything we can to raise awareness on the impact of these cuts and to work with budget writers to identify other ways to save without cutting out the heart of therapy services,” said Hammon. According to its website, the mission of the Health and Human Services Commission is to maintain and improve the health and human services system in Texas and to administer its programs in accordance with the highest standards of customer service and accountability for the effective use of funds. - Department of Family and Protective Services (DFPS).